If you're committed to making lasting changes to your health and wellbeing, you've come to the right place. We deliver tailored nutrition and exercise to help you achieve a life-long transformation for your mind and body. 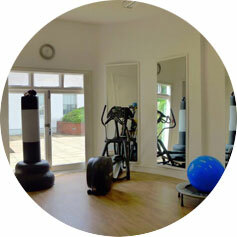 Enjoy 1:1 personal training sessions that are varied, challenging, fun and tailored to your own specific needs. A key part of achieving your health and fitness goals, we analyse your diet and provide individual feedback alongside practical (and delicious) meal ideas to suit your lifestyle. Keeping you on track while at home, a tailor-made programme is a fantastic way to complement your personal training sessions. Struggling to find the best foods for your long-term health? Our qualified nutrition advisors can offer advice, and even accompany you to the supermarket. We run events themed around health and exercise and have created a community of like-minded people, committed to achieving great health while having fun! 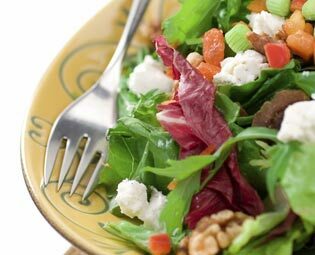 At Sana Vita we focus not only on diet and exercise, but on the importance of health, wellbeing and happiness as whole. We believe that each client is different and needs to be cared for and coached in ways unique to his/her goals, behaviours and attitudes. As such, our services are completely bespoke and adapted to your individuality. The team members at sana vita share the same aim: to provide tailored services for every client's individual needs. 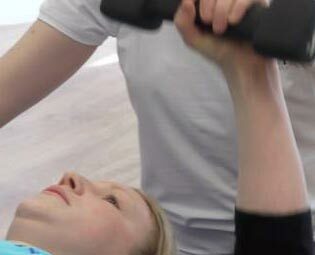 Whether that's in the one-to-one personal training and/or diet coaching where the whole focus is on you, or in our small, intimate classes (2-3 people) which allow our instructors to cater for your unique abilities. All our instructors are trained to the highest standard. But we don't stop there. We believe in lifelong learning and continually research the health and wellness industry to help our clients achieve their goals. If we find a recipe that suits your gluten intolerance, we'll send it to you. If we've baked a nutritious flapjack, we'll bring you in a slice. You're special to us and we like to show it. We're also a community of like-minded women and men who do fun things together, whether it's a spot of tennis during Wimbledon or healthy cupcake baking for Halloween, we always have something going on. 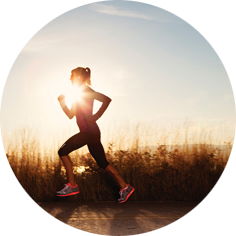 If you'd like to get your own personalised programme, the first step is the free consultation. You'll be invited to Sana Vita, to see our studio and meet a member of the team. We'll look at your specific needs/goals and explore ways in which we can help you achieve them in a safe and sustainable way. 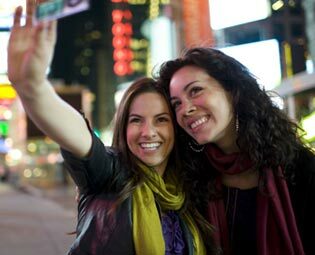 Together, we decide which services would suit you best. For example, this may be one personal training session a week with a diet analysis and meal plan, or it might simply be a home training programme. Whatever the format, we'll create a plan of action to help you work towards your own goals and support you along the way. 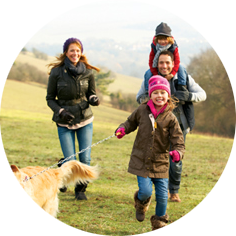 We believe that great health is a cornerstone of being truly happy. It's the key to our overall wellbeing and is complemented by different elements: exercise, healthy eating, relaxation and balance. 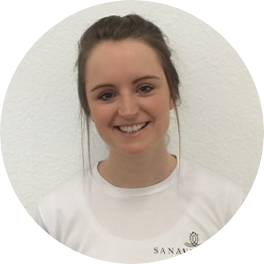 At Sana Vita, we play our part through our training and classes, nutrition programmes, coaching and social events. 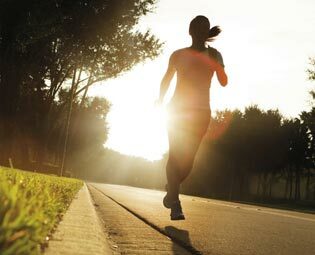 Although short term goals are important, we're always looking at the bigger picture: achieving life-long health and fitness. You don't have to deprive yourself of all the things you enjoy to get there. We can work together, creating the perfect balance for you. If you'd like to read our client success stories and tips for wellbeing, check out our blog below. 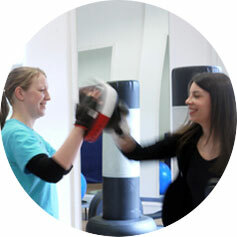 We're an easy-going, friendly team, considerate of the fact that many people are put off by militant instructors! All of us are fully trained and qualified, and each of us has a speciality. 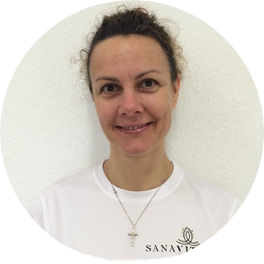 I created Sana Vita to be a place where balance and long-term health could be achieved. without stress or fads. My dream is to help people get fit for life and to understand they are much more than a number on the weighing scales. The Sana Vita ethos is all about balance and sustainability. We can support you in making regular exercise and healthy eating work for you and your life so you can achieve great health and be proud of your body. whatever your shape. I'm totally committed to helping clients achieve their individual health. fitness and lifestyle goals. I love it when they tell me they have a newfound confidence. a spring in their step or look amazing in a new outfit! I am a huge fan of Irish country music and enjoy a good jig! I also love running. travelling, yoga, listening to podcasts and spending time with family and friends. A qualified Nutritional Therapist, I'm committed to helping people both enjoy and reap the benefits of healthy eating. 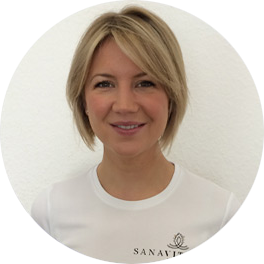 I take a highly personalised approach to nutrition support, helping Sana Vita clients tweak their eating habits and nutritional intake to better suit their personal needs and goals, and complement their exercise programmes. Making changes to your daily diet is a journey - one which I have been on one myself! I'm now stronger in my body and mind than I have ever been, and am passionate about sharing with others the science of nutrition and the art of putting healthy eating habits into practice. I adore travel and seeing other cultures first hand and sampling other cuisines. Turkish is a favourite at the moment! I'm a visual person and enjoy all things creative and design related, including visiting galleries, museums and going to the cinema. 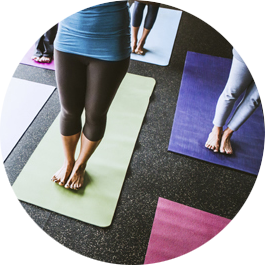 I took up Yoga as a means to improve my physical health and well-being. I had always enjoyed keep-fit and running, but I wanted to try something that would also improve my mental health. I wasn't disappointed and took to it straight away. I travelled to India to train as an Ashtanga Instructor and with no distractions I was able to immerse myself fully in the course and, I am glad to say, left India a qualified instructor. Since then I have undertook a 200 Hour course in Hatha Yoga and I am a qualified teacher in Pregnancy and Post Natal. I am now about to embark upon training In children and teens Yoga. Having learned so much about the philosophy of Yoga I have found that through practice I have developed a serenity that I never knew existed. What exactly happens to sugar when we eat it? Why your New Year detox should start with ditching sugar!